Be the first to share your favorite memory, photo or story of Charles "Bud". This memorial page is dedicated for family, friends and future generations to celebrate the life of their loved one. 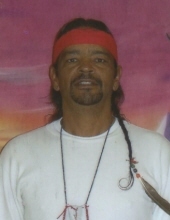 Mr. Charles "Bud" Earl Jones of Fayetteville was born on January 25, 1956 and departed this life on March 28, 2019 completing his journey of 63 years. He is preceded in death by his parents: LutherJackson and Lula Jones; and his brother: Nelson Jones. The funeral will be Monday, April 1, 2018 at 2 P.M. at Boles Funeral Home in Red Springs with the Revs: Steve Wimberly and Hedrick Jones officiating. Burial will follow in the Oxendine Cemetery. Mr. Jones leaves to cherish his memories, his children: Keith Yarborough of Fayetteville, Charles Locklear of Fayetteville, Calvin Locklear of Fayetteville, and Heath Locklear of Fayetteville; four siblings: Larry (Betty) Jones of Fayetteville, Tony (Faye) Jones of Hope Mills, Ricky (Donna) Jones of Hope Mills, and Connie (Steve) Wimberly of Dayton, TN; eight grandchildren; and a host of relatives and friends. To send flowers or a remembrance gift to the family of Charles "Bud" Earl Jones, please visit our Tribute Store. "Email Address" would like to share the life celebration of Charles "Bud" Earl Jones. Click on the "link" to go to share a favorite memory or leave a condolence message for the family.